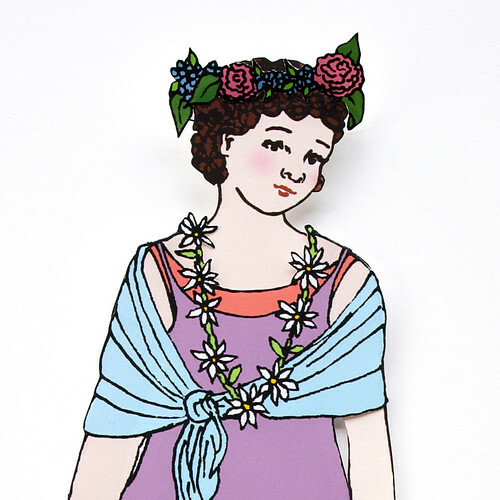 New paper doll alert! I think this one is my new favorite (do I say that every time?). She is sweet and I really love the dress with the flower crown and daisy chain necklace. I am thrilled about Spring. Every year it just gets better and better, though my mood dependency on the amount of sunshine is becoming a little out of hand. On the dark days it seems to take all I've got to just get out of bed. On the other hand, the sunny days find me dancing and singing and planting tomatoes. Overall, a beautiful and tumultuous time of year!